Several years and several billions of dollars after first getting Silicon Valley investors excited about virtual reality all over again, you’ll finally be able to walk into a store and buy a Magic Leap headset as starting next week, AT&T flagship stores in Boston, Chicago, and San Francisco will start carrying the Magic Leap One Creator Edition. 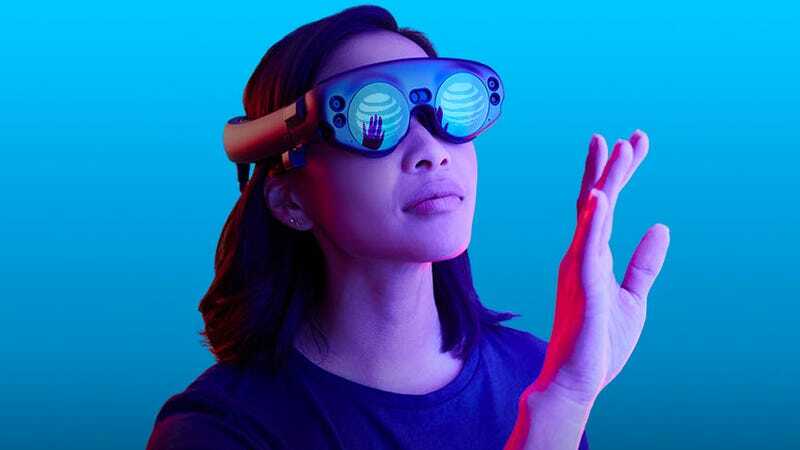 If you’ve lamented the rising cost of smartphones every time you head to AT&T to upgrade, the Magic Leap One hardware is going to be an even harder pill to swallow. As with the pre-orders that were available in August of last year, walking out of the store with the supposed future of augmented reality is going to cost you $2,295—which does include the wearable Lightpack computer, and a handheld controller. Reactions to the Magic Leap hardware have been mixed. For years we’ve heard random anecdotes coming out of Silicon Valley praising the hardware as being the future of virtual and augmented reality, but there were less-than-enthusiastic opinions once the hardware actually made it into the hands of reviewers who’ve had experience with Magic Leap’s competitors. I actually had the chance to try it at CES 2019 for the first time a few months ago, and while I can see the hardware’s potential for certain applications, I certainly didn’t walk away lusting for a headset of my own. So why is AT&T making room in its stores for a two-thousand-dollar toy that is mostly still a novelty? The company does have a long history of embracing bleeding-edge technology. In the 1970s it experimented with video phone technology long before Apple’s Facetime made it commonplace, and more recently it was one of the first carriers to offer the Red Hydrogen One phone which promised advanced smartphone photography features it never actually delivered. The company seemingly has a solid streak with selling hardware nobody wants, but back in June of 2007 the original iPhone was an AT&T-exclusive when was first available, resulting in thousands of people jumping ship to AT&T just so they could upgrade to Apple’s first phone. Does the carrier expect the same influx of new users for the Magic Leap? Probably not. The hype for the product has wained in recent years after so many delays, but AT&T seems to see it as a selling point for the company’s 5G efforts. The portability of the Magic Leap hardware is certainly a big plus over its competitors which need to be tethered to more powerful computers. But I’m not sure that being able to quickly download and access augmented reality content over 5G is reason enough to leave the house wearing those goggles. Clarification, 12:36 p.m. EST/EDT: Pre-orders for the Magic Leap were only available to developers last year. As of next week, anyone will now be able to buy the hardware through AT&T.